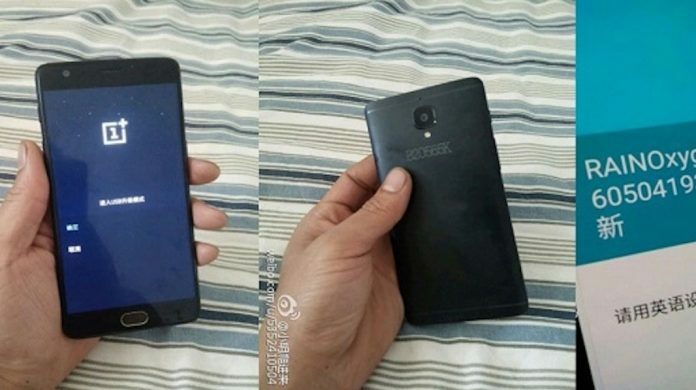 OnePlus 3 the next flagship killer from Chinese SmartPhone startup OnePlus may launch at the end of the month but a prototype of OnePlus 3 is already all over the internet. 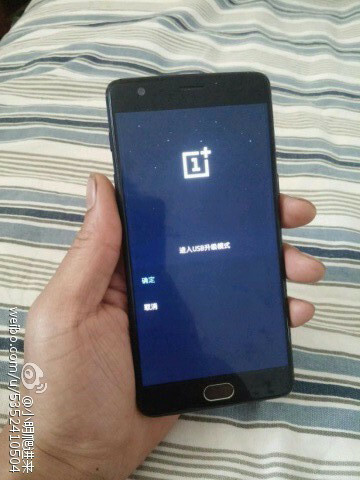 Considering the boot animation and design this might be the real image of OnePlus 3 because as we know the company has confirmed that OnePlus 3 will be completely different from other OnePlus devices. It’s definitely not a unique design but yeah it is different from other OnePlus devices. 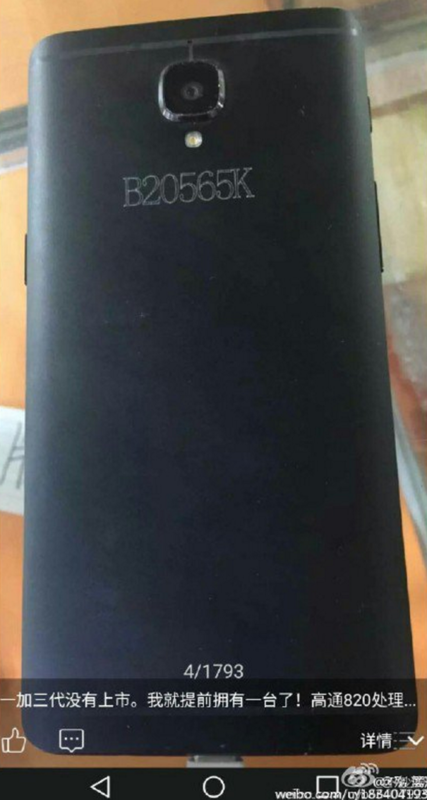 Judging the recently leaked images of OnePlus 3, it looks like HTC One series SmartPhones. 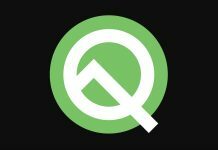 According to leaks and rumours, the device will come in two variants, the basic variant will have 4GB RAM with 32GB internal storage and top variant will be having 6GB RAM and 64GB. Remember these are just assuming because there isn’t any official confirmation about the device. There is also one very good news that OnePlus 3 will have crazy-fast charging tech from Oppo called Super VOOC Flash Charge that will charge the phone from 0% to 100% in just 15 minutes. OnePlus 3 release date in India is yet to confirm by OnePlus but we can expect they will release in India very soon after the Chinese release, maybe within a month of Chinese release. 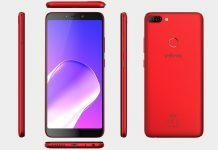 As the company’s CEO hinted the device will be released by the end of May or first week of June. So Indian fans might get their hands on OnePlus 3 by the first week of July. Price of OnePlus 3 in India will be Rs. 20,000(approx) for 32GB varient with 4GB RAM and Rs. 25,000(approx) for 64GB varients with 6GB RAM. This info is based on maths we did after analyzing the leaked and rumours about OnePlus 3 so maybe the final product will have different specifications. We better wait for a few more weeks or till OnePlus make some official confirmation about product and specification. I WANT TO BUY ONE PLUS THREE MOBILE OF 64GB,6GBRAM WITH OTHER SPECIFICATION AS MENTIONED. PLEASE ALLOW ME TO BUY ONE PIECE OF THE SAME AROUND RS25000.00 AS IT LOOKS AVERY GOOD/ EXCELLENT MOBILE.